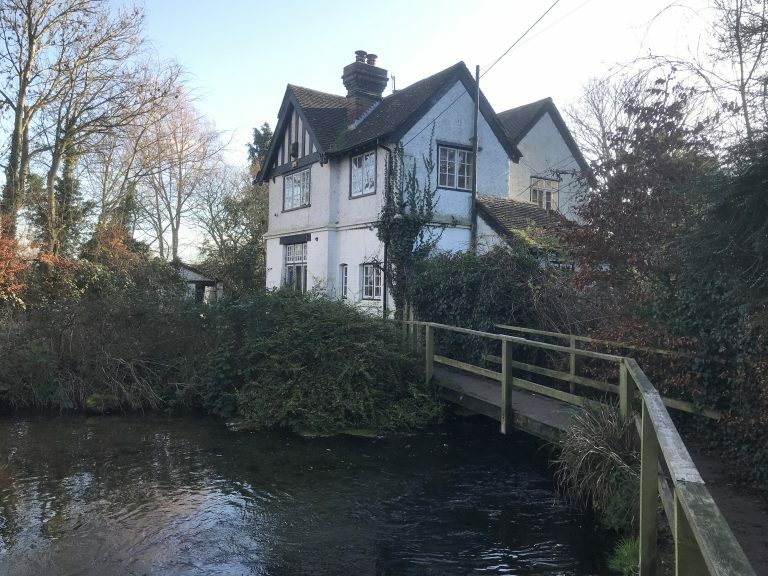 If you are the successful buyer of Weir Lodge, being offered in CLIVE EMSON's next auction on Tuesday 5th Feb, you may, on a winters day, sit by the banks of the Little Stour river and watch the Kingfishers dart in and out of the water catching fish. Weir Lodge in Littlebourne, a lovely village about 4 miles East of the City of Canterbury, is an attractive early 20th Century detached three bedroom house with planning to extend and add a replacement garage. The house is located adjacent to the race and wheel mechanism (now removed) and mill pond. Once extended it would create a larger ground floor living area and a fourth bedroom to the first floor. It is envisaged that once completed the master bedroom would have views down the garden and river and the main living room opening on to the garden as well. Although it does need improvement and refurbishment it offers, perhaps a once in a life time opportunity. It is being offered with a Guide Price of £425,000 Plus, and is a rare find!